Autumn has definitely hit, and whilst we are still resisting the central heating, the slippers have definitely re-emerged. For my family this means our weekends are still spent doing the same things, just with different clothes on. 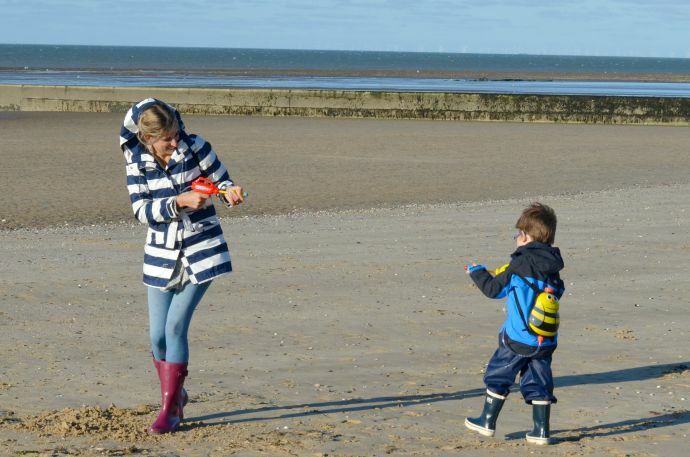 The beach is one of our favourite places to go, all year round. 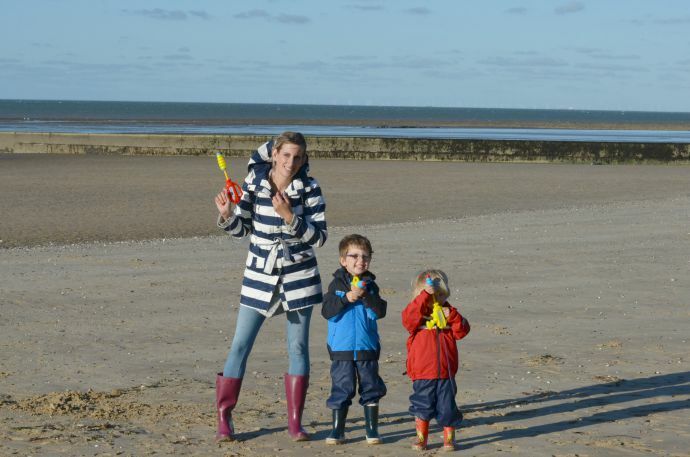 Shorts and t-shirts in the summer with bare feet and the essential ice cream and now waterproofs and wellies followed by fish and chips snuggled in the beach hut. As the weather changes it means we often end up with the whole beach to ourselves and my little buddies just love the freedom. 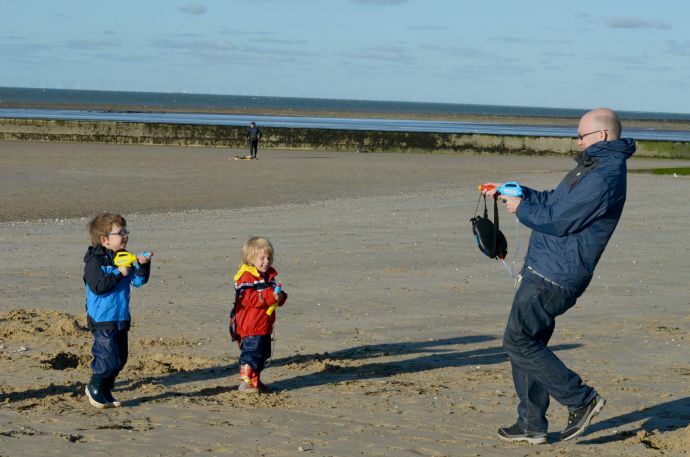 From splashing in the sea to building the perfect sandcastle (the rain gives that sand a great sandcastle-y consistency), they are in their element and we bought some brilliant back pack water pistols to add something new to our beach adventure. Dressed in our Helly Hansen waterproofs we knew we wouldn't get cold or wet on the inside and it wasn't just the little two who were giggling away! It didn't rain and the skies stayed blue, but it was far from warm, and there were little pink noses before we started our water fight. Not so much after running around for twenty minutes - that soon warms you up! Helly Hansen rain gear is designed to keep you dry and outdoors no matter the weather and ours is certainly doing that! Our weekends have become even more precious now that Dylan is at school and we are not letting the weather spoil our fun! Our Natural retreats villa was the perfect base for having beach adventures, with so many beaches local, and it was the ideal place to go back to once we had finished playing, with a full kitchen to make hot chocolates with and beds that we just sunk into after a long day exploring outdoors. 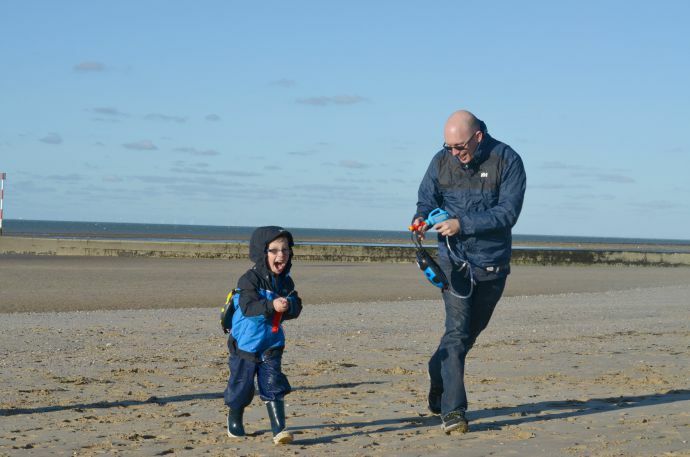 Helly Hansen's #WeLoveRain competition is still running, so if you have a photo of you or your little ones enjoying being out in the rain, then make sure you enter! There are different challenges each week so check out what you could be winning! The first week's prompt was 'when you need a raincoat' and I would have to use this shot for my entry - my poor camera desperately needed one once a pair of mischievous little boys pointed their guns at it! I think the autumn is a great time to be on the beach, I especially like it as the dog bans are usually lifted so we can all go on. 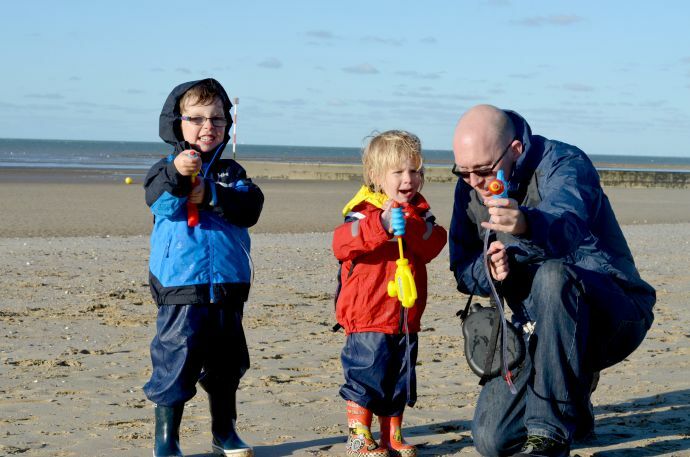 We head to north Wales for our nearest beach and it's always a bit brisk but enjoyable. 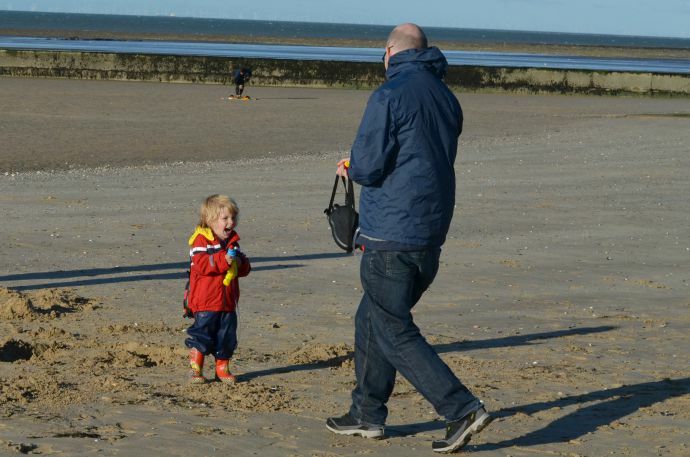 The beach is really lovely at this time of year... Good that you had your warm clothes! The gear looks just perfect for getting out in all weathers and something I want to do more. I'm very jealous as my dream is to live by the sea and have a beach hut! I love the beach at any time of year. I think going to the beach in autumn is my favourite time to do so - the weather can still be quite mild but the crowds have gone.